New research shows that taking low-dose aspirin on a regular basis may not have as many life-saving properties as previously thought. According to one new study, taking aspirin does not help prevent first strokes or heart attacks in people at moderate risk for one. This was because the study participants had several health threats, such as smoking, high blood pleasure or high cholesterol. In short, taking an aspirin to counteract these other factors is plainly ineffective, according to the research (Marchione, 2018). Another recent study looked at aspirin in people with diabetes, who are most likely to develop or die from heart problems. In the end, the researchers discovered that the subjects moderately benefited, but this was offset by the greater risk of serious bleeding. Furthermore, aspirin did not help prevent cancer as previously hoped. In one recent study, aspirin or dummy pills were given to more than 12,000 study participants who were thought to have a moderate risk of suffering a heart attack or stroke within a decade because of previous health conditions. After five years, four percent of each group had suffered a heart problem. This suggests that these people were actually at low-risk, rather than moderate. 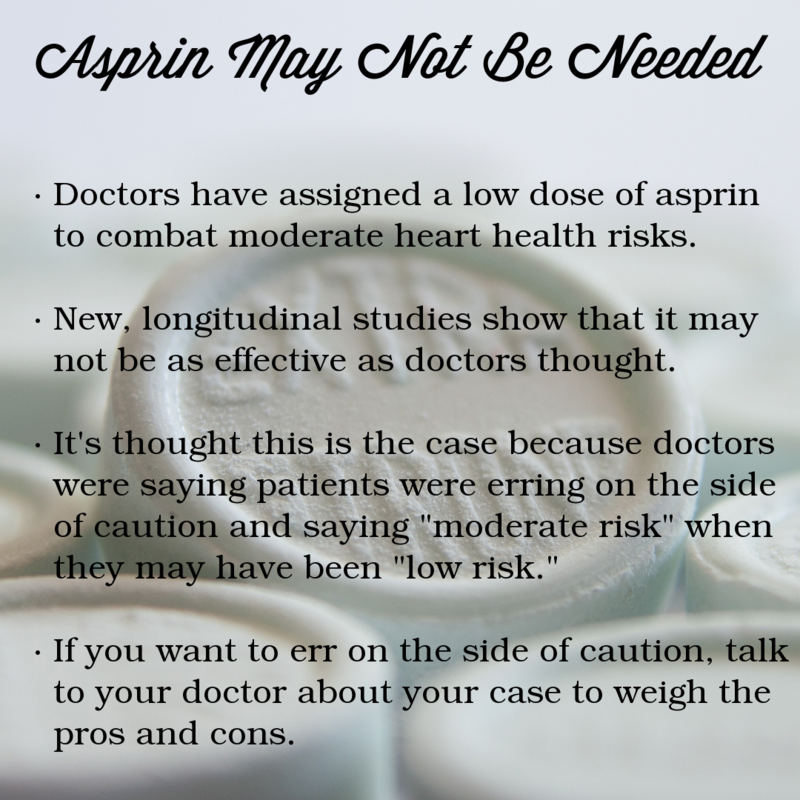 Dr. J. Michael Gaziano, the lead author of the study, believes that the other medicines they were taking to lower blood pressure and cholesterol may have reduce their heart risk so much that aspirin also had a smaller chance of helping. 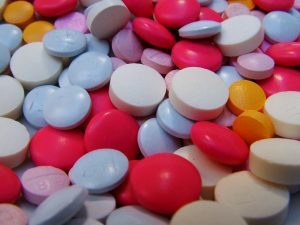 One percent of the aspirin takers in the study experienced stomach or intestinal bleeding, which was twice as many as those who took the placebo. Aspirin users also had more nosebleeds, indigestion or belly pain. So is aspirin really worth integrating into your diet to enhance your overall health? According to these studies, the debate is still out. It’s best to speak to your primary healthcare provider to learn more about the potential risks and benefits of taking aspirin regularly before making any changes to your routine.